Even if you are a mechanical numbskull there is plenty you can do to make sure your car remains, safe, legal and reliable. Most modern cars have engine covers and only the items coloured yellow can be touched by a non-mechanic. Before you buy a car it is vital to ask yourself a few questions and most important of all answer them. If you don’t, the people selling the car in the showroom might just persuade to drive away in something that isn’t suitable. Are you sitting comfortably in your next car? The driver’s seat must be supportive and the steering wheel adjustable enabling you to reach the controls, see the door and rear view mirrors without a problem. If it is a stretch and you don’t feel right then you should not buy the car. The test drive would be the decider. Will the family fit inside it? Your next car is not all about you, there are others to consider and that includes your family (and any pets) you take on journeys. Make sure they go with you to the showroom and that they are comfortable. Is your next car right for the job? There is no point buying a small hatchback to tow a caravan, or a four wheel drive model if you want an economical commuter car. It is important to be certain on what your next car is expected to do. Don’t be distracted by the wrong sort of car or a persuasive seller. Should your next car be petrol, diesel, electric or hybrid? Although out of favour, diesel offers excellent fuel economy, even if modern diesel engines are very complicated and more expensive to fix as the miles build up. If your mileage is modest and you pick the right size engine, then petrol can make a lot more sense. Electric cars are still relatively expensive and may make sense if your journeys are mostly local. In addition the resale value is not that strong and eventually the batteries will need replacement. Hybrid cars have two engines and that could mean twice the complication when they get older. 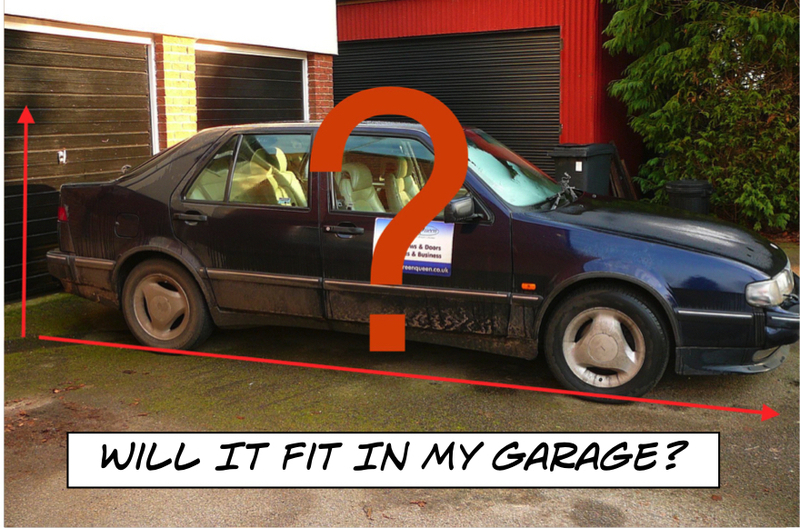 Will your next car fit in your parking space? Measure space on your drive, garage, or even where you park at work. Your current or last car is the best guide as you can find out from the manufacturer what the dimensions are. If there is any doubt asking the seller to drive the car to your house is not unreasonable, if you intend to buy. Should your next car be fashionable? You buy a car for all the right practical reasons and because you can afford it. Often the underlying factor can be that it is desirable and fashionable. That would mean it should hold its value and will be much easier to sell in the future. 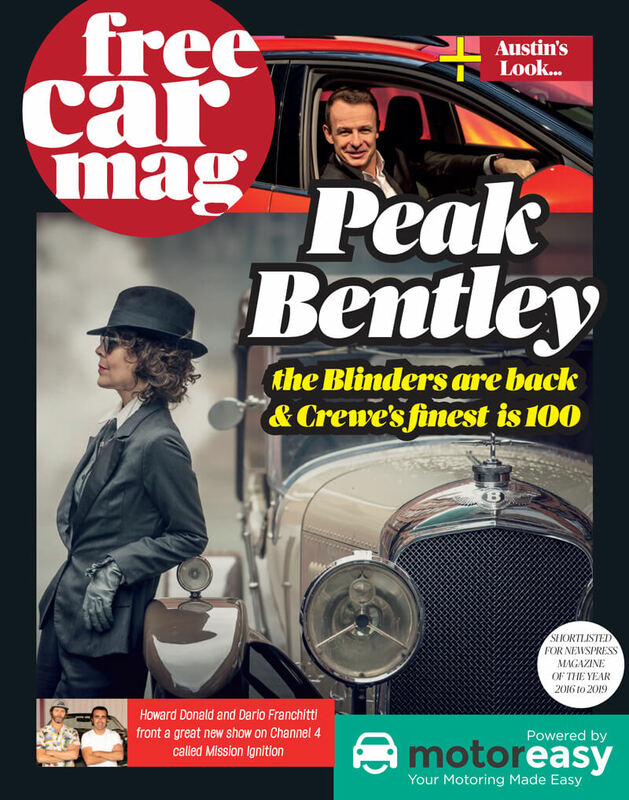 So keep in touch with what cars people want to buy through specialist magazines and websites. If you have no time for fashion and just want a vehicle that suits your needs, chances are you will pay much less. motoreasy is the home of car maintenance and ownership; everything from car warranty cover to independently-approved nationwide car servicing, repairs and MOTs - all in one place online. 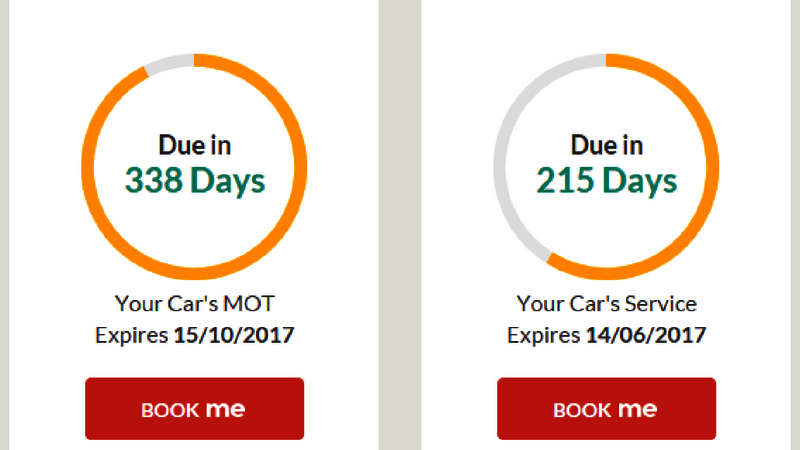 With the simple aim of saving money and removing the stress and hassle of running a car, users automatically receive MOT, tax and annual service reminders, as well as MOT history, recall notifications and live valuations. Service history will also be automatically updated if available, or users can upload it to their own easy-to-use, secure account area. They're also able to submit and track the progress of any repair or booking from any device, anywhere in the world, at any time. motoreasy has been designed with the motorist, for the motorist and with the aim – as the name suggests – to make motoring easy. The innovative service means that car owners need never deal directly with a garage ever again or feel dumbfounded at mechanical jargon and decision-making; the qualified and experienced engineers and customer care team at motoreasy will do all that for you. They book your car in, liaise with the garage on your behalf, query and approve any repairs suggested by the mechanics and update the progress, as it happens, on your own personalised account area. And if that wasn’t making things easy enough, motoreasy also arranges for your car to be picked up and returned - for free - from your home or place of work to make it all as convenient as possible for you. After every job is completed, the engineer rates the garage on its service. Every job matters. The customer then gets to rate the garage too. Collectively, this means that motorists can rely on motoreasy to be the most transparent and trustworthy service in the market. Independent of its own rating system, motoreasy also encourages its customers to rate its own service. motoreasy has been designed to remove the hassle of car ownership and maintenance. Sitting at the centre of that process is a personal technician – a highly skilled and qualified engineer, who monitors every job from a simple MOT to complex repairs. They will question remedial work suggested by the garage on behalf of the owner and, effectively, be the expert eyes and ears with the express purpose of approving only work that needs to be done. Above all, motoreasy saves motorists money. Thanks to its buying and negotiating power - and willingness to pass on savings to its customers – motoreasy servicing prices are up to 40% cheaper than the equivalent work carried out by main franchised dealers. In order to save on ownership cost and hassle, all servicing is done according to the manufacturer's specifications, keeping your car in top condition and any warranty valid. What’s more, motoreasy customers can see how much they have saved on every bill, where the discounts achieved and passed on to the customer are transparently and clearly listed. 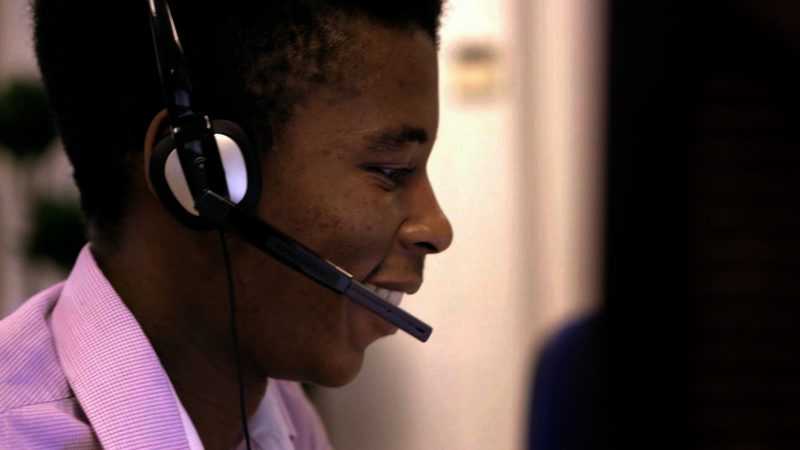 The motoreasy network of 10,000 approved repairers stretches across every corner of the UK. Hand-picked for their service levels and quality of work, the independently-approved network of garages and specialists are closely monitored for consistency and transparency. A staggering one in three vehicles suffer a mechanical failure after the end of the traditional manufacturer warranty period. motoreasy’s technology-driven process allows for speedy, same-day authorisation on any fault, be that a simple electrical issue to or a major engine failure. Unlike many manufacturers or third-party warranties, motoreasy also covers failures due to overheating, wear & tear and consequential damage to covered parts. 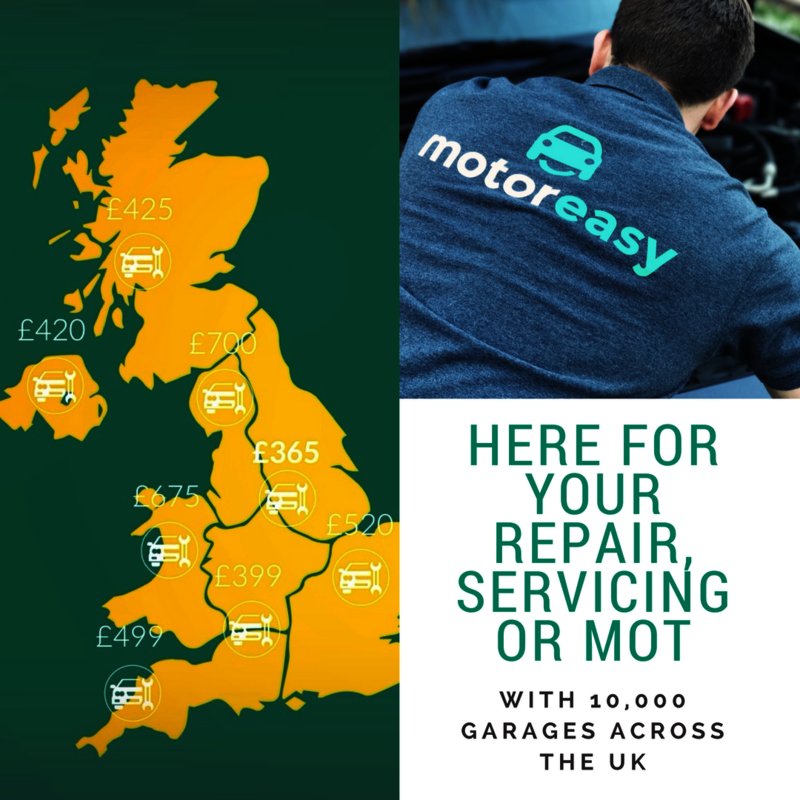 Not only are parts and labour costs included but, unlike some providers, motoreasy pays the garage being used directly so that the consumer is never out of pocket at any stage. With two in five mechanical failures being discovered during a routine service or annual MOT, it makes sense that motoreasy protects motorists for that eventuality – so it does. And, for the customers who are among the five million Britons who drive abroad every year, the motoreasy Warranty provides protection for up to 60 days abroad too, should they be unfortunate enough to suffer a mechanical failure on their travels. 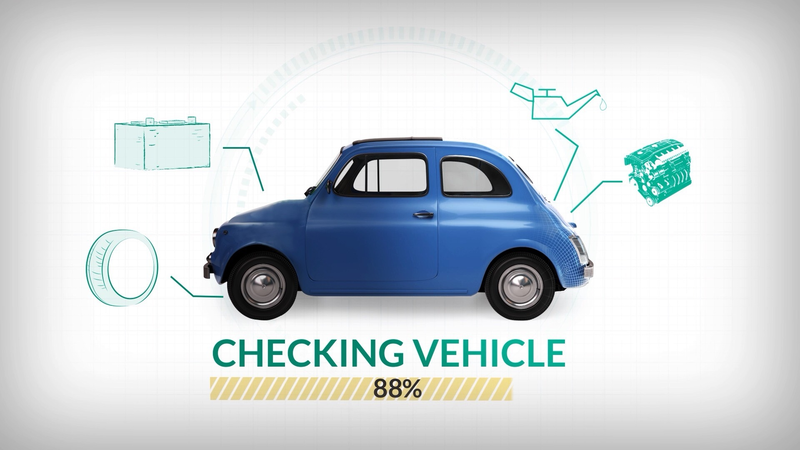 Not only is it a legal requirement to get the health of a car checked annually once it reaches its third anniversary, the MOT also acts as a pseudo-service for the vehicle – in fact, 75% of the checks that form the MOT would also be carried out during a normal service. 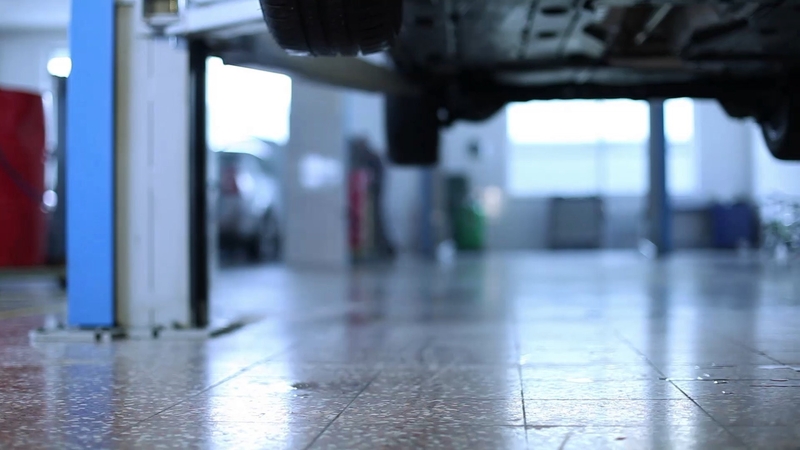 Unfortunately, one in five cars fail their MOT at the first time of asking. In response, all motoreasy car warranties cover failures identified at MOT & Servicing, and non-warranty members have access to trade discounts as well as expert advice on repairs. As the home for car maintenance and ownership, motoreasy will provide users with a wide range of products and services. In addition to warranty, servicing, repair and MOTs at launch, motoreasy will soon provide breakdown cover to its customers. 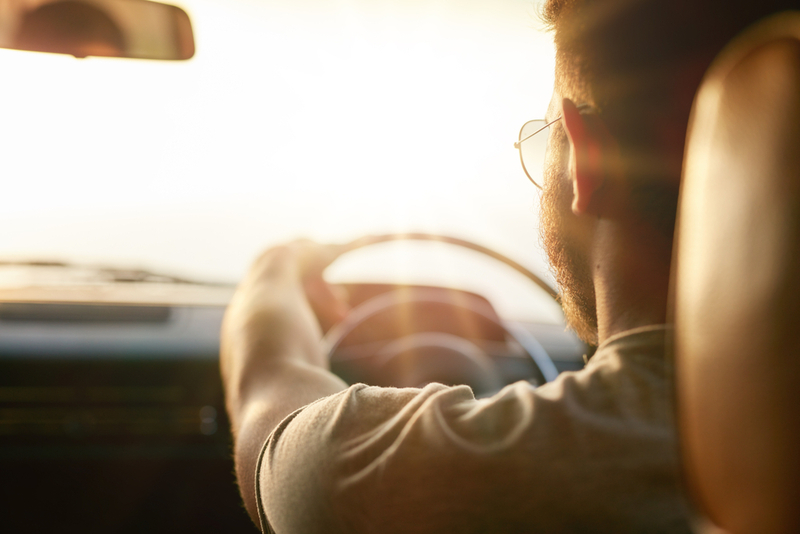 Over time, members will be able to do everything from buying tyres to organising health checks for their vehicles as it becomes the number one home for the motoring needs of Britain’s 30 million car owners. motoreasy has been founded by Duncan McClure Fisher – the leading expert in direct extended car warranties in the UK, having helped more than 500,000 customers. 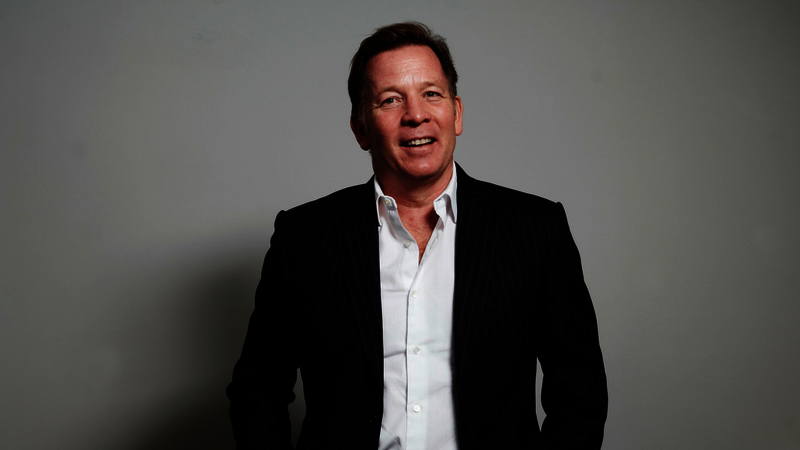 In 1997, Duncan founded Warranty Direct, recognised as a “revolution” in the extended warranty marketplace. motoreasy is the next step, looking to “evolve” car ownership for UK motorists. To build and develop their service & repair products, motoreasy has appointed Bill Duffy as a non-executive director. 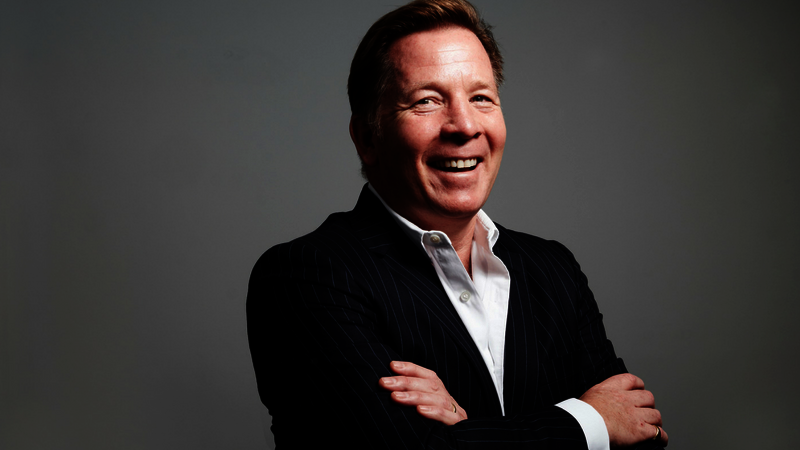 Former positions as CEO of Halfords and director of Nationwide Autocentres mean Bill brings with him a wealth of valuable experience in the motoring sector. Car care is a focus of the company moving forwards, and Bill’s knowledge is second to none in this sector. 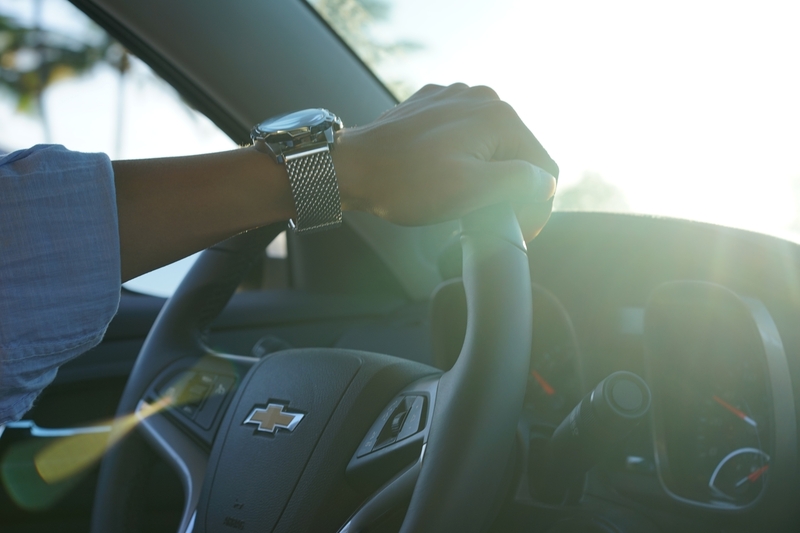 The new motoreasy service builds on this core understanding of the highs and lows of car ownership and, above all, the hassle experienced when things go wrong, as well as the cost and inconvenience of keeping a vehicle legal and on the road. By applying common-sense, mixed with a customer-first digital experience, motoreasy is designed to make your motoring easy. Duncan McClure Fisher has spent around 20 years at the very heart of the extended warranty market. Way back in 1997, along with his father David, he created the country’s first direct to consumer extended car warranty business - Warranty Direct. A warranty direct is always a better outcome. Until the McClure Fishers arrived on the scene, the world of warranty was a dark and mysterious place. Dealer warranties were often not worth the paper they were written on, with dealers insisting on minimising their exposure to future repairs by offering minimal component coverage along with high excesses and low claim limits. Undeterred, Duncan & David set about improving the motorist’s lot, quickly introducing cover for parts that wear out. Other warranty companies were rejecting claims by saying that the part was worn out, because it had passed its life expectancy – what rubbish! It can readily be argued that every part eventually wears out – but who decides what the life expectancy should be – ABC warranty company it seems! Of course, after a part has covered, say, 80,000 miles, it appears reasonable to ask the owner for a contribution. Cover for consequential loss was introduced. Other providers were rejecting claims when an uncovered part failed that went on to damage a covered part. Our team will help get you the best cover. Then there was overheating, another thorny issue to tackle. Most of the big bills were a result of overheating and Duncan ensured it was covered as standard. But surely the biggest surprise, for any unsuspecting warranty holder, was that faults found at the time of your service or MOT wouldn’t be covered. The above mentioned are all now included in Duncan’s motoreasy warranty. He has set out to ensure that the motoreasy warranty plans represent the best combination of cover and price - and again taken everything a giant leap forward! 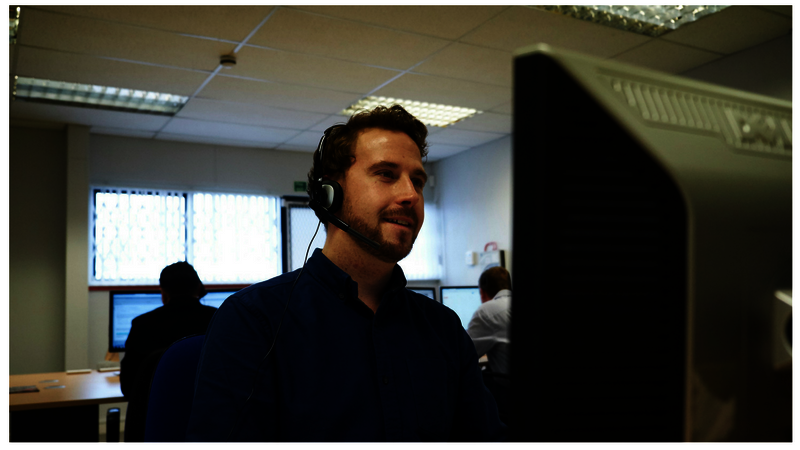 Speak to our experts and they will help make your motoring, easy. Duncan McClure Fisher is very warranty wise. 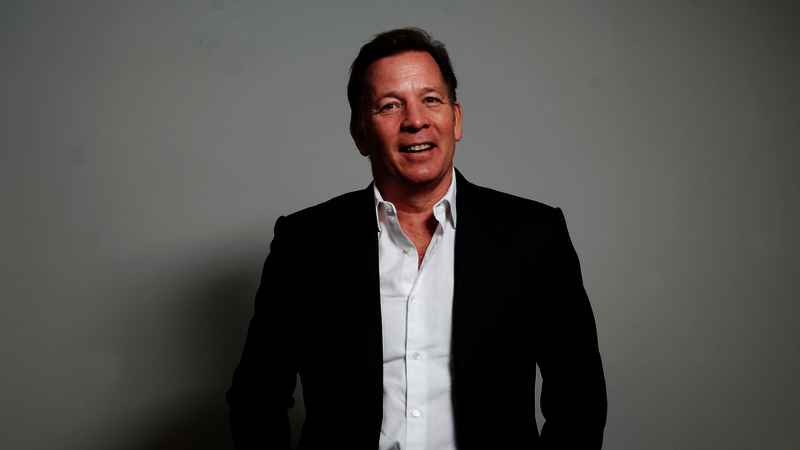 As the founder and former Managing Director of Warranty Direct, his experience is second to none, Years of major competitor has been Warrantywise for the past few years. He has now created motoreasy, a leap forward for car warranty, ownership and maintenance, featuring an unbeatable combination of price and protection. Duncan knows that the motoreasy warranty he has designed is the industry leader. So much so, that you will find him at the very forefront of the business. He knows that our reputation relies on the quality of service delivered to his customers and he is determined to earn your trust and custom for many years to come. With this in mind, motoreasy is much more than just a warranty. Expert engineers will book your MOT or service and handle negotiations with the workshop on your behalf. A nationwide network of over 10,000 independently approved garages will now be dealing with your personal technician who understands cars and the most cost effective way to get you back on the road - fast. Get a quote and you will claim your very own motoreasy ‘my account’ area for automatic reminders to make sure that you never miss an important date. Your MOT, service, warranty expiry and even your tax reminder will be emailed, when appropriate. You can also register all the household cars in this one area to make controlling your motoring - easy! The motoreasy warranty can be tailored to your specific requirement. Speak to our experts and you will be surprised how easy motoring suddenly seems.